The Home Visiting program helps parents take baby steps towards building a loving, safe and healthy home for their children. It is rooted in the belief that early, nurturing relationships are the foundation for life-long, healthy development. The program gives parents and caregivers the knowledge and tools to ensure their children are nurtured in a loving, safe and engaging environment. The program is designed for parents facing challenges such as single parenthood; low income; childhood history of abuse and other adverse child experiences; or challenges related to substance abuse, mental health issues, and/or domestic violence. Families are enrolled prenatally or up to when the child is three. 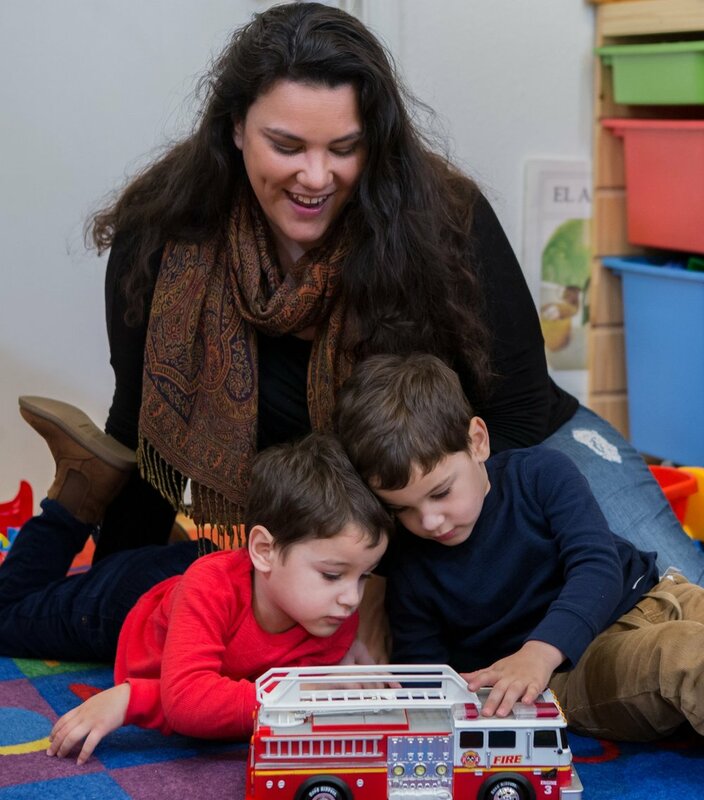 Once enrolled, families work with Family Support Specialist until age five or until the child enters kindergarten. Cope offers at least one home visit per week for the first six months after the child’s birth. After those initial months, visits are based on families’ needs and progress over time. Typically, home visits last one hour. A parent’s personal resources - including knowledge, skills and attitudes toward parenting - impact their relationship with their baby. This program helps parents develop their personal resources to improve family functioning, strengthen the parent-child relationship, promote child well-being and prevent adverse childhood experiences. For more information about the Home Visiting program and our other services, contact us at 707.252.1123 or hello@copefamilycenter.org. Cecilia first came to Cope when she was pregnant with twins. Struggling to make ends meet, estranged from the baby’s father and without supportive family nearby, Cecilia felt unprepared for motherhood. She enrolled in the Healthy Families™ Home Visiting program and worked with her Family Support Specialist on setting goals to give her and her babies a better future, including: developing a strategy for a healthy pregnancy and birth, securing affordable housing, accessing financial assistance resources; and enrolling in classes at Napa Valley College. Today, Cecilia is raising two healthy boys, has a part time job, is working toward her college degree and is pursuing a career in healthcare.